Ekundayo is a Hawaii based artist whose mixed media work harnesses the visual power of the subconscious through hyperbole and juxtaposition. Owing to his mastery of a surreal grotesque and his early beginnings as a graffiti artist, Ekundayo’s work is monumental and larger than life. The artist’s intuitive recombinations are uncanny and haunting, and betray an understanding of life’s most aberrant and disturbing dimensions. 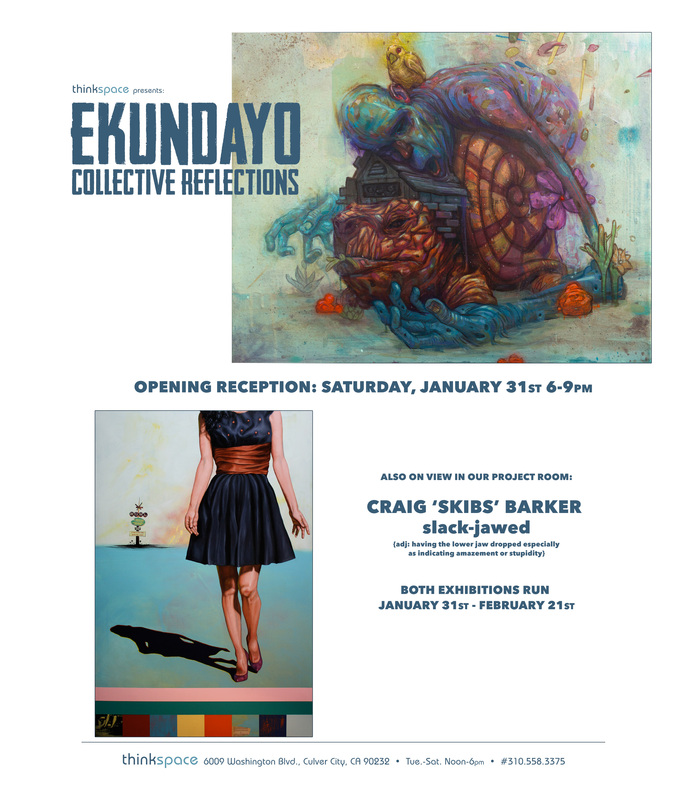 Ekundayo channels the sordid and the abject, but mobilizes the imaginary to attenuate its ravages through fantasy. 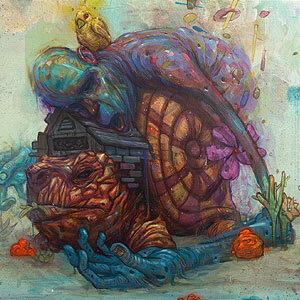 The artist combines the human with the animal to explore a conflicted interconnectedness, and creates imagery that is allegorical and even mythological at times. Much like an idyllic nightmare, beauty exists with deformity in its midsts. Ekundayo combines the monstrous and the teratological with the beautiful and the redemptive, to convey a profound empathy for the duality of the human condition.